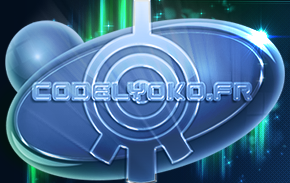 In the goal of promoting the creative side of the community (already overflowing with a wealth of writing and art on Code Lyoko and Code Lyoko Evolution), CodeLyoko.fr started a program to promote the best of the best fan creations. We already have two sections fan-arts and fanfictions where each member of the site can send their creations via the member space so that they will appear publically. In order to distinguish the most talented creators from the rest, CodeLyoko.fr created this section. There, we list the writers, artists and other creators (sometimes with skills in various domains) with extraordinary talent. You can browse the files below to find, classed by category, the people most talented to help you live out the series outside of the show and be able to experience a piece of the series on your computer screen. 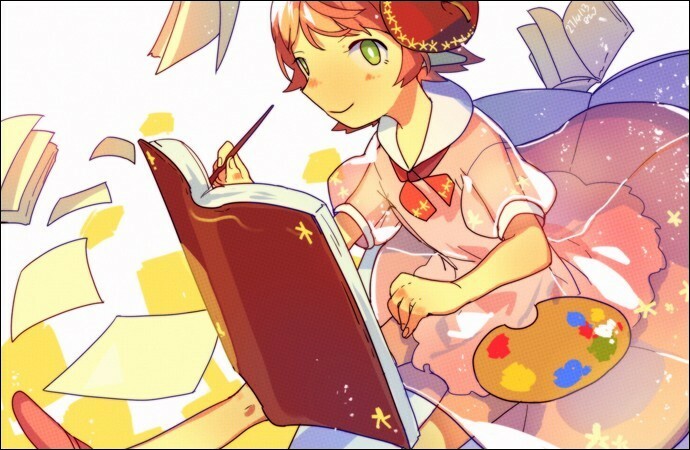 In each of their files, you will find a little presentation of each creator and a listing of their work, whether it be an image gallery for the artists or a gallery presenting each of their fanfictions. Skilled in both art and word, Brezifus excellently combines her writing, a seamless balance of darkness and humour, with her expressive drawings to produce a wonderfully illustrated tale about the Lyoko Warriors, among other lovely creations. AMV magician, DJ, an excellent artist and indisputable fan of Code Lyoko and Gigi d'Agostino, this lovable Italian has more than one string to her bow! In this gallery, there are artist productions filled with poetry for the eyes, in a style from the Baroque period and of traditional Japanese drawings, which sometimes even contain cyberpunk influences. AQueenofFairys is an Australian girl, passionate about Code Lyoko as evidenced by her vast gallery! Nice and friendly, it is proof that even her "antisocial temperament" does not prevent her for being talented! BassoonistFromHell! Quite the original username! Here's some of the original art from this cheerful American! Explosions of colors, fleeting romance, travel through this colorful, mysterious art from the home of the Easter bunny and Jeremy as a superhero... but Code Lyoko overall! A journey worth seeing! Cradled in the vivid blend of the Universe of the manga generation on one side and of the best of Eastern culture on the other, Dlynk's creations are completely original and modern. When this artist discovered Code Lyoko, only good things could come from it. Fear Effect Inferno has creations bestowed with a rather... martial style. The hyperbolic effects interspersed throughout their work are both elegant and intense. The power of the characters is always at the forefront of the scene. Always prompt and ready to help others, Lénaelle spread her brilliant colors throughout the Lyokofan community and gave life to the most vague of ideas as well as the most crazy. From improbable romances to the future of the heroes: Find them in the most surprising of outfits and postures! An avid hobbyist of great skill, Nelbsia is capable of condensing the immeasurable force of his imagination so well through his fanfiction "Overpowered" in the sumptuous illustrations that he creates to each and every minute detail. 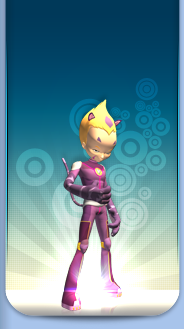 The entirety of his work propelled Code Lyoko to the peak of glory. Rui is a young girl whose talent equals her kindness! She draws all of her desires on different subjects which she holds dear. And since Code Lyoko Evolution is one of these, we can enjoy her wonderful artwork! Each stroke of her pen is mild and original! With his monster concepts that appear to have originated in an alien universe and his science-fiction backdrops that will take your breath away, this now professional artist will have you travelling to the most obscure sides of the force of XANA. Code Lyoko, through his pen, suddenly becomes much less peaceful, and that's for the better! Armed with her pencils and graphics tablet, and boasting a great sense of humor and a well-tempered character, Son-neko, or rather "Kat", has been bringing us back into the Code Lyoko universe through short comics of unmatched quality in the Code Lyoko fan community for several years. With her electrifying personality and undeniable talent for the mastery of graphical software, this young Polish artist presents us his vision of, amongst others, of Code Lyoko Evolution in a luminous, magical, and colorful light. Amongst her drawings, that feature Code Lyoko characters in an unusual cartoon style, we can find some of the most unlikely pairings and settings full of energy and good spirits. This American artist is one of the rare ones to have also made several animations, so don't hesitate to check out her deviantArt to see them! An old icon of the community, today gone with honours to other places, Kikou is known in the LyokoSphere for two major creations. The first is a collection of remixes of CL music (Opening and Subdigitals). The second is a video game: the first community fangame. Helped by his piano, Roro creates music for various fanprojects in the community...and makes some marvellous reorchestrations of some music from the series. Find amazing and sad music played with talent on the piano. Magician of AMVs, Deejay, an excellent artist and undisputable fan of Code Lyoko and Gigi d'Agostino, this lovable Italian has more than one string to her bow! Through videos that she's created, by mixing various music, episode clips, and all sorts of effects, she's managed to underline the atmosphere of the cartoon and for several years now with a total of over a hundred video dedicated to Code Lyoko! Light undertook an enormous project: To create a Code Lyoko film, made entirely by a fan... by Light himself! And the result is just as grand! The various previews of the fanfilm titled "Code Lyoko Relight", which takes place after season 4, are tempting! You can also look at some others videos. Visit our "Medias" section!